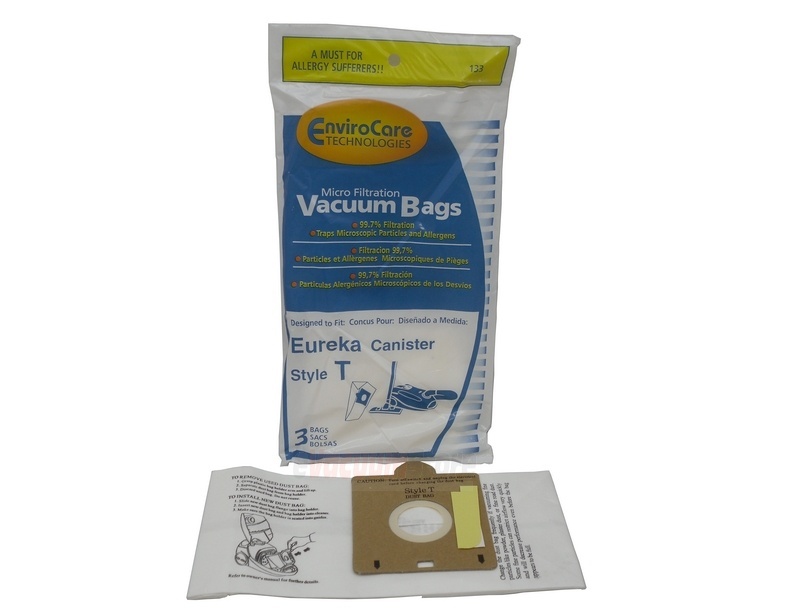 The Eureka Style CN-3 Vacuum Cleaner Bags fit: 6820, 6820AD, 6825A, 6826A, 6826A-1. Purchase these bags for any type of cleaning around your home. Whether it's spring cleaning around your entire home or just a quick tidying in one room, these bags are sure to get the job done. Not only is it durable enough to hold even your heaviest mess, it also uses odor-eliminating technology with its bag design. It's also easy to put on and remove with its cardboard opening and latex ring. If you require further assistance, feel free to give us a call at (866) 972-8227.